If you want more reasons to go vegan in the form of your leather dog leash, we have got you covered. 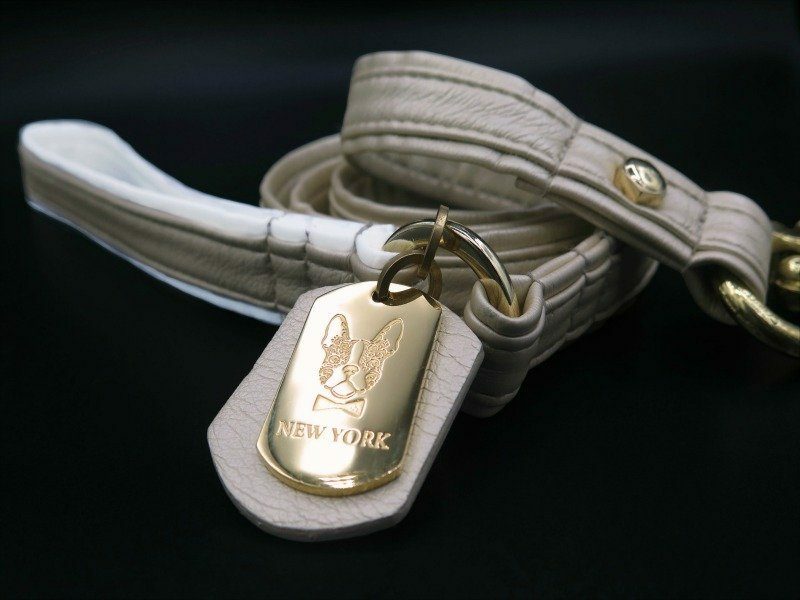 Our vegan leather dog leashes are made using an innovative, patented technology from an NYC company. That’s right, it’s local! Having a local company ensures we are able to keep an eye on the process and guarantee all the choices that go into production are the right ones. We use recycled products with low emissions that do not have harmful environmental consequences. That means we aren’t adding more waste to the already overflowing landfills of the world. Since our leather dog leashes aren’t made using harmful chemicals, they’re perfectly safe for not only the environment but for you and your dog as well. Just because a product isn’t made with animal products or byproducts, it isn’t necessarily the way to go unless you can be sure it isn’t having a negative effect on the world. 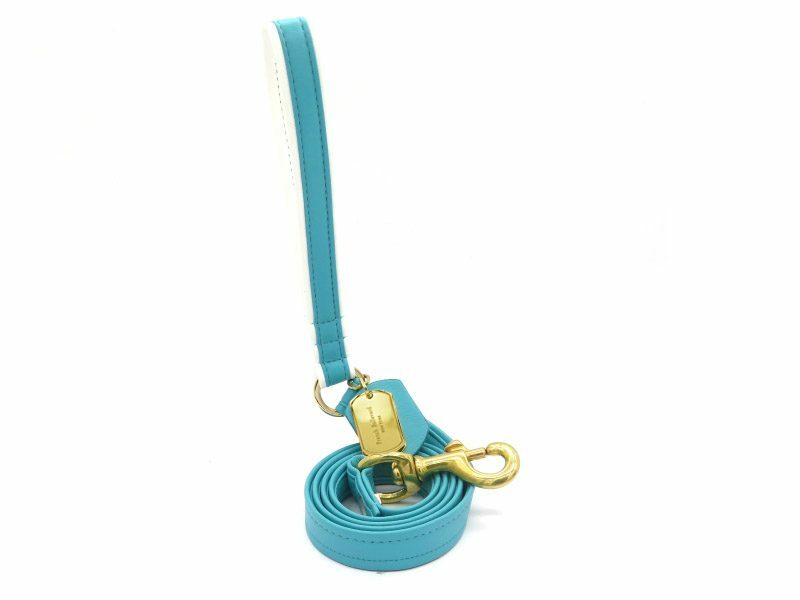 Since we believe in the benefits vegan leather can have on the planet, you can rest assured that our leather dog leashes are top tier. You want to purchase your vegan leather from a company you know you can trust, and we are happy to be that company for you. We know that leather is common because it is stylish and sleek. That’s why we create collars and leashes that have the look and feel of real leather! Because of the variety of cruelty-free ingredients that can be used to make vegan leather, modern vegan leather manufacturers have many options for creating a variety of beautiful finishes. You don’t have to sacrifice the sleek style of leather for a plasticky, fake looking collar. 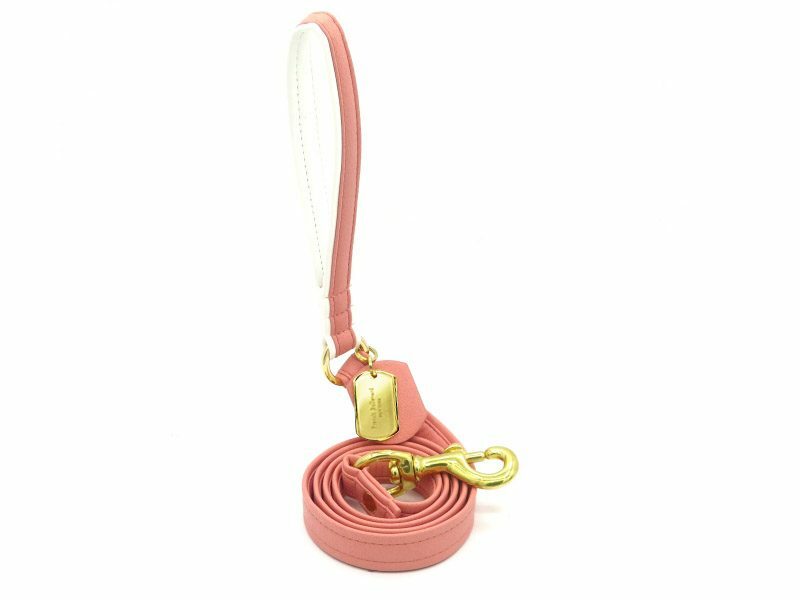 Anyone who sees your dog’s Le Sport Chic leather dog leashes wouldn’t be able to say it wasn’t actually leather because it looks just as fabulous! 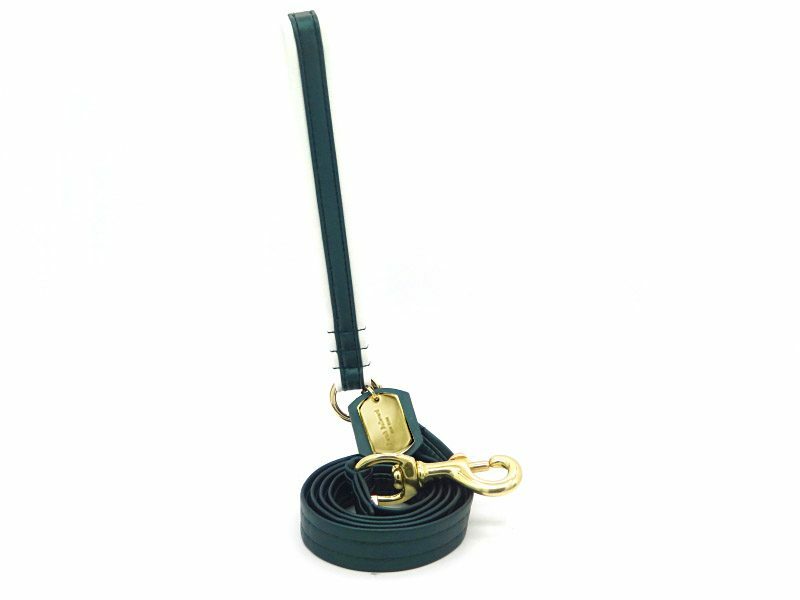 It’s much easier to emulate the look and style of leather than it is to create a similar, sleek feeling, but we are happy to produce leather dog leashes that also feel like actual leather. That’s something you won’t find at every vegan leather dog leashes producing company. Other companies also use plastic PVC in their production process which is horrible for the environment. Luckily, we’ve taken care of that for you as well. With a Le Sport Chic Vegan leather dog collar, you can make an environmentally-conscious choice that will satisfy the vegan, vegetarian, or green-thinker in you while keeping your pup happy, comfortable and stylish. Our vegan dog collars aren’t just good for the environment. While that might be enough incentive for some people to make the decision to switch to dog collars, the benefits are seemingly endless. There are no harmful chemicals so you can feel confident putting these collars on your dog without having any kind of bad reaction or discomfort. Our vegan collars and leashes are also long lasting, and durable. Our vegan collars and leashes stand up to rainy, damp weather, as well as wintery conditions. That makes this collection a perfect choice for dog owners all over the world! There is no reason not to make the switch from conventional leather collars to collars made with environmentally friendly vegan leather. Now you can kiss your frustrations at the lack of vegan dog collar choices goodbye. From stylishness to affordability, we are certain our Le Sport Chic dog collar offers something you and your pup will adore.